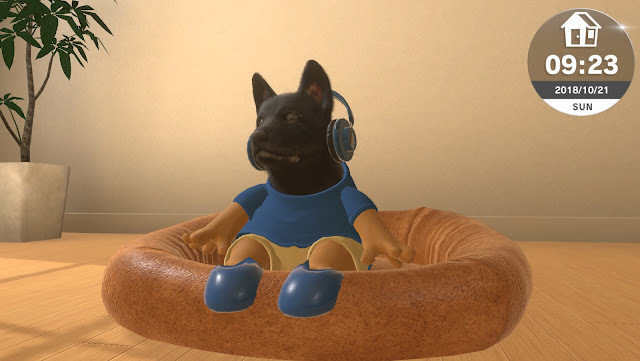 What if there was a new Nintendogs? 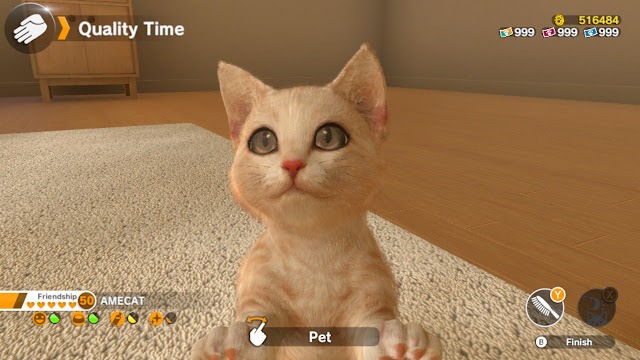 There sadly hasn't been an official Switch follow-up to the hugely popular pet simulation games, but Japanese developer Imagineer has taken matters into its own hands by releasing Little Friends: Dogs & Cats, a game inspired by the famed Nintendo series. Adopt these furry critters and build a friendship with them. Play with them, feed them, brush them. 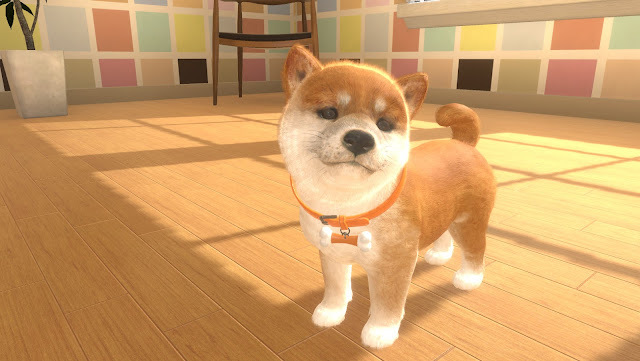 The game is very much a sandbox in this right, and while the Nintendogs comparisons are understandable, the game has its own identity. You can dress your pets up in absurd outfits that reflect their personalities. You can also take them out on walks and enter in competitions, which will also affect their relationship with you. The game also utilises a lot of Switch-specific features such as the touch-screen and the use of separated controllers. After playing a short demo at London's EGX Rezzed, I had a quick chat with Sean Labodé from Sold Out to learn more about it. Thanks for chatting with me, Sean. I think it's important to address that many people will draw comparisons from this game with Nintendogs. Yes. This game came out in Japan in 2018 and the developers were looking for some kind of exposure in the west. They contacted us here at Sold Out and asked if we could help them sell the game in places like the US, Europe, Australia. From looking at it, we saw a lot of influences from games like Petz and Nintendogs but there's nothing like that on the Switch. It's great we can have a game like that on a current-gen console. Could you explain more about how the game uses Switch-specific features? When the game is in handheld mode, interacting with the pet requires you to use the touchpad. So stroking the screen helps them feel calmer when anxious, but it will also affect things like brushing or feeding the pet. So it taps into the emotional side. When you dock the Switch, you'll be detaching the Joy-Con and suddenly your full arm becomes an extension of your virtual arm from the game. For things like feeding the pet, stroking, throwing toys; you'll be using the full extent of your arms for that. You'll also be able to use the triggers to grab things, like the dog's ears or play with his tail. So it feels like you are with your virtual pet. It sounds like the Imagineer team are all animal lovers then. Yeah, they're all big pet lovers. And we have everything from shibas to Japanese cats. You can tell it comes from a place of love because there's a lot of detail in what you can see. That comes from a good amount of research but also the people who just genuinely love these animals. I can't speak for Imagineer too much, but they enjoy what they have and they wanted it to be implemented into the video game in that way. The demo was open-ended but are there levels or tasks you can play that would give a sense of progression? There's a friendship metre you can use to build your relationship with your pets. 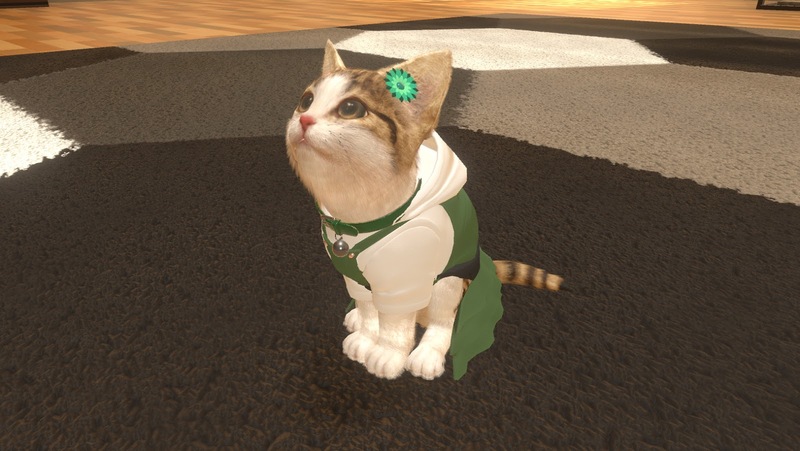 Besides just feeding them and looking after them, you can also go out and enter frisbee competitions, and as your friendship grows, you'll unlock more competitions and more ways you can bond with your pet. This might be in ways such as your pet gets better at catching frisbees, or maybe you enter a higher competition. And the prizes for these competitions get better, which you can use to buy cosmetics and other items. So you might start off with basic attire but the more you enter the prestigious competitions, you might unlock the better cosmetics. Thanks for speaking to me, Sean. I can't wait to see how the full game turns out. Little Friends: Dogs & Cats hits the Switch in the west on 28th May this year. As someone who hasn't played a pet simulation game in well over a decade, it looks like this one will find a great home on the Switch, and should be a lot fun for players of all ages.